Accommodates 220 participants in theater style, 114 in seminar style, 52 in diplomat style, 46 participants with the U-shaped table and 140 in banquet style. 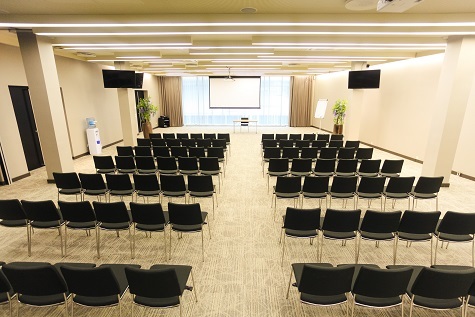 Large Rome (I+II) hall is suitable for conferences, seminars, festive banquets and concerts. There are two interpretation booths for simultaneous translations in Large Rome hall. *Minimum time for conference rentals - 3 hours.